Empower your life with a Psychic Tarot Reading! Whether you have questions about your love life, career, life challenge or issue, health or anything else, AEgeria will help you find the answers and guidance you need! Tarot Card Readings enable you to make informed choices when you find yourself on crossroads. When your mind and heart are clear, you can make the enlightened decisions you need to make. A reading with Lindsay will help you take saner, safer, and wiser route during times of distress and uncertainty. Lindsay is a witch, a clairaudient, tarot reader, empath, psychic, and in certain circumstances a medium/channel. Her style of reading is unique. 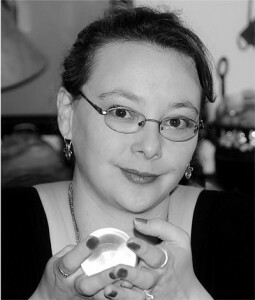 She use a combination of psychic listening and seeing along with tarot cards to provide quality insight and clarity. Lindsay works from little to no personal information, and doesn’t need names or birth dates. But she will ask for little bit of information about your emotional state and your situation. This will save you time and money and help her connect your and your energy and your guides and guardians. She don’t need many details, really just the basics. Having worked for another popular online psychic service, Lindsay much prefers working on one good solid connection to a client, than sitting in a video chat room with hundreds trying to get her attention! She is a fast reader once she has connection she likes to keep the ball rolling! I am a Spiritual life coach, teacher, and mentor, helping those who need help developing their spiritual purpose and gifts! Everyone needs a little help and support, and peace of mind and safety are priceless when learning to develop and work with abilities and the spiritual side of life. Ask me about my mentoring sessions and intuitive readings! Psychic email tarot readings provide flexibility both to you and your psychic. You are saved from the trouble of binding yourself and the psychic to a particular time and date for communication, where you both have to be in a quiet place. You will be contacted within 24 hours from receipt of payment about your reading to see if you have any specific questions! These reading aim at thoroughness, rather than solely time based concerns. Standard email readings run around 1500-2000 words per readings, come in document attached to your email, with photos of the layout, and come with one email of follow up questions about that reading. Honest and accurate, Lindsay has over 20 years experience reading tarot cards, both online and in-person at events and festivals, and can’t wait to lend you clarity and insight into your life and situation. Still questioning? Want to know more about Lindsay? Read here! You can also read some of her testimonials! Book your reading with Lindsay today!